Like barbecue and baseball, the annual spring break tradition is a uniquely American phenomenon. Sure, other countries take a pause from the classroom grind, but in the United States, we take spring break so seriously that beginning as early as January, plans are perfected and the countdown commences. While the hunt for warm weather and sandy beaches may still be a go-to destination for spring break, we challenge you to rethink the norm and embark on a non-traditional spring break getaway to the idyllic weather of the Blue Ridge Foothills. 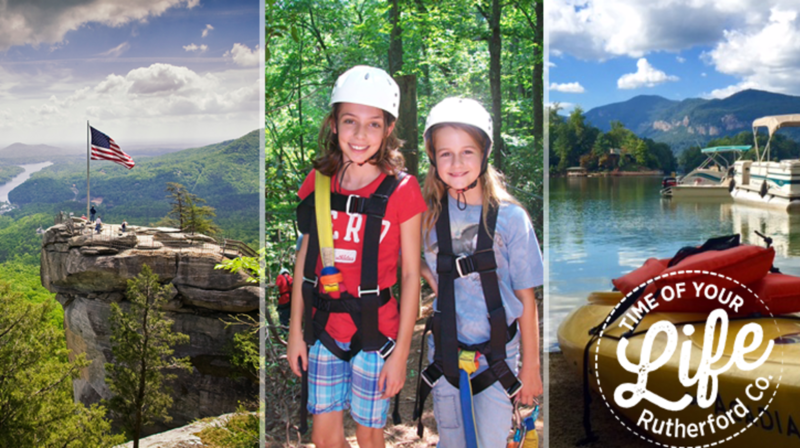 We offer a wide range of stress-free opportunities to escape the city and keep the kids entertained, all the while enjoying the scenic beauty of the North Carolina Mountains. To help plan the perfect vacation, here are our top ten picks to have the time of your life this spring break in Lake Lure & the Blue Ridge Foothills of North Carolina. 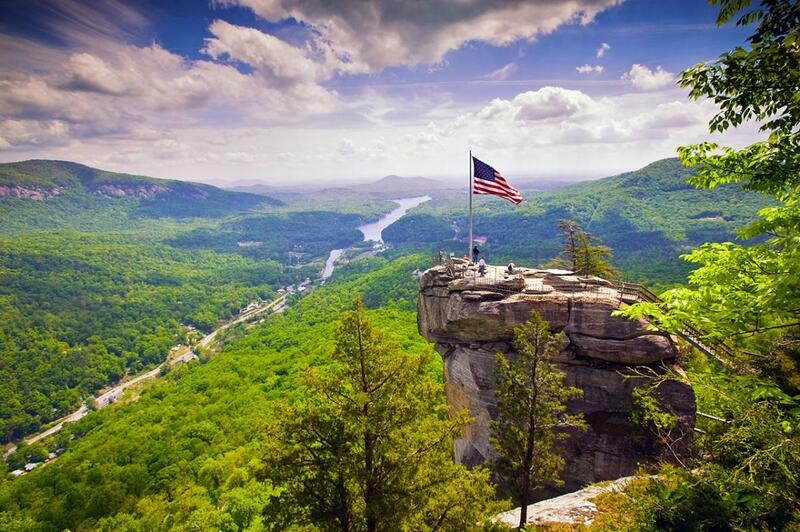 Chimney Rock State Park is more than just a park. It’s a destination where the higher you climb, the more spectacular the views become. With each step along one of the trails, jaw-dropping beauty unfolds before you. Some of North Carolina’s most dramatic mountain scenery is found here at the top of the signature 315-foot spire overlooking Hickory Nut Gorge and Lake Lure. Hiking trails inside the park include Hickory Nut Falls where the second tallest waterfall east of the Mississippi River is your reward for embarking on this moderate hike. If traveling with kids, the Great Woodland Adventure Trail is one of the easiest and most family-accessible trails in all of Western North Carolina. Artistic and whimsical wood and metal animal sculptures captivate kids as they try to crawl into the shell of a giant turtle or leap like a spider through the twelve interactive discovery stations that make up this one-of-a-kind trail. Just because it’s Spring Break doesn’t mean you can’t throw in a few opportunities for the kids to learn something new – especially when they will have fun in the process. KidSenses Children’s Interactive Museum in Rutherfordton is a place where science meets magic to create memorable learning experiences. 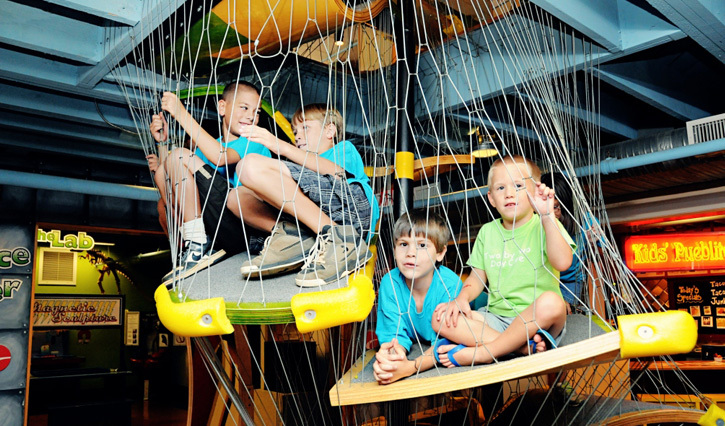 Kids ten and under, can enjoy over 10,000 square feet of exciting exhibit areas, a 7,500 square foot Children’s Garden (open seasonally), and numerous programs and activities designed to stimulate the imagination and educate the mind. Their new FACTORY Preview programs, offered Saturdays in a separate facility, are designed for tweens and teens. Youth will participate in challenging STEM* themed activities, involving robotics, 3D printing, computer programming, and much more. And in each visit they get to take home their very own creation. If you thought the fascination with the gold rush was limited to the West, think again. North Carolina is home to the first gold rush in America and it occurred almost 50 years before the California Gold Rush. 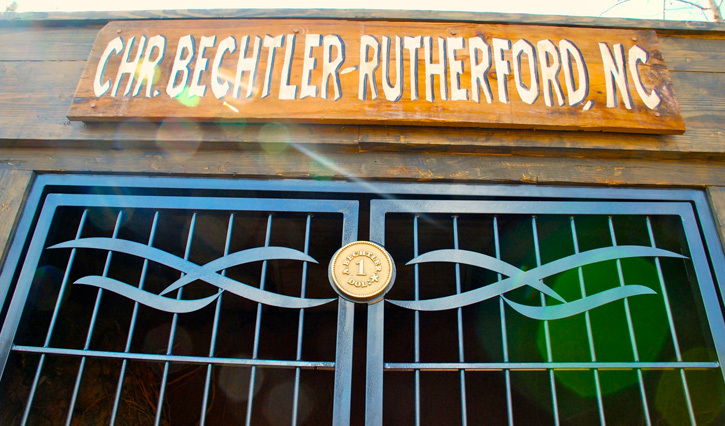 Rutherford County, NC played an integral role in this nation’s gold history and was, in fact, the place where the first one dollar gold coin was minted, making it a true hotspot for gold activity during the early 1800s. Continue your treasure seeking pursuits at a local gem mine. At Thermal City Gold Mine you can learn from a real prospector while panning for your own precious gems. Broad River Gem Mine will entertain in more ways than one with a robust collection of gems and minerals, plus a fossil cave bear specimen. If you are looking to pocket a few shimmering gold nuggets, make time for a stop at Chimney Rock Gemstone Mine. 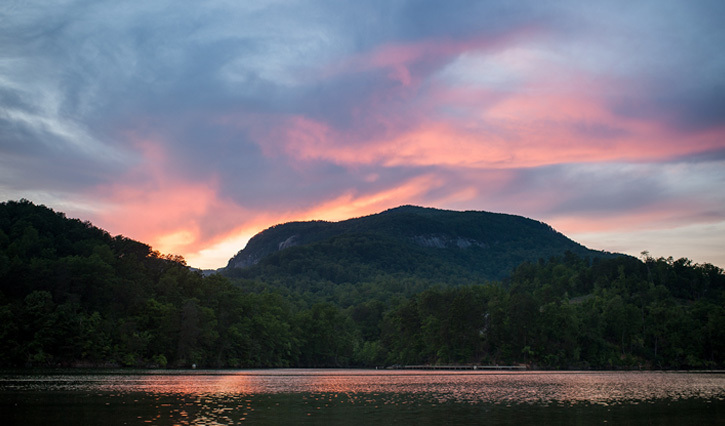 Your trip to Lake Lure & the Blue Ridge Foothills isn’t complete without enjoying the scenery from the vantage point of a Lake Lure Tours guided pontoon boat ride. Sit back and relax as the long canyon of Hickory Nut Gorge envelops you with sights of granite cliffs and an expanse of largely undisturbed forest land. Not far from Chimney Rock State Park, an abundance of flowers and shrubs cover a converted highway bridge. Known simply as the Lake Lure Flowering Bridge this once busy thoroughfare carried traffic in and out of the area for over 75 years. Today, the bridge is part garden, part whimsical pedestrian path. It joins the towns of Lake Lure and Chimney Rock Village in a multisensory, mini-journey through 15 eye-popping, nose-tingling stops. 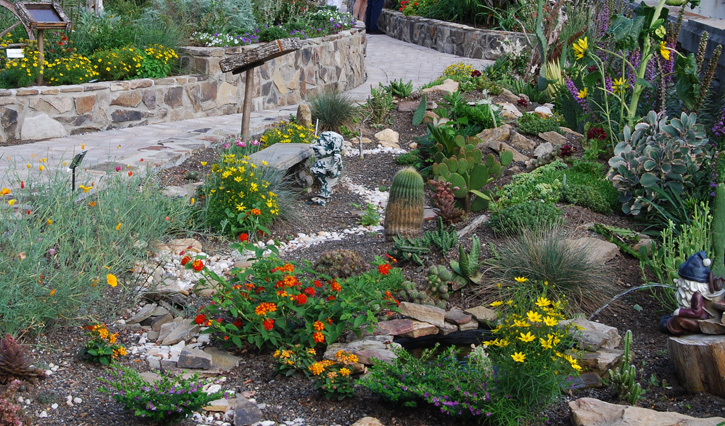 More than 700 plant varieties flourish in raised beds and planters made all-the-more fascinating by the interplay of local art along the way. On the Riverwalk, parents get the benefit of enjoying the picture-perfect scenery and a leisurely stroll on this short trail, while kids get to climb and hop across boulders channeling their inner super hero. This easy walking path is tucked quietly behind the local shops and eateries of Chimney Rock Village. Along the way stop into the Riverwatch Bar & Grille and enjoy lunch while overlooking the river. A few doors down, meander into Bubba O’Leary’s General Store & Outfitters, Fibber Magee’s, or any one of the handful of other stores and shops that feature authentic hometown hospitality and mountain treasures from area artisans. Give everyone in your group the chance to taste adventure during your stay. 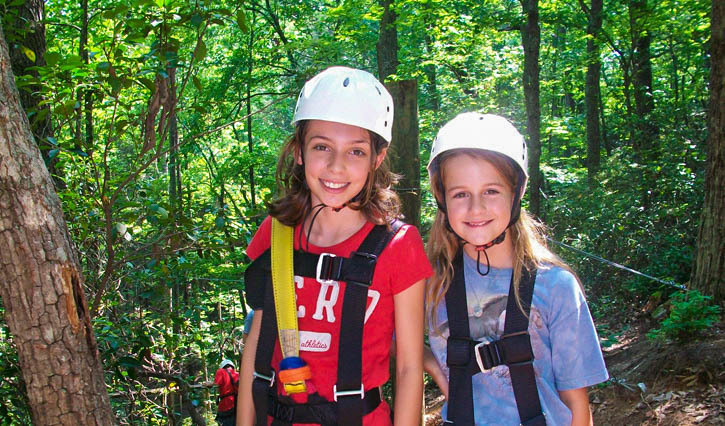 Soar through a canopy of trees with a zipline excursion at Canopy Ridge Farm or Boulderline Zipline. Saddle up with a friendly horse for a woodland trail ride at Riverside Riding Stables or Cedar Creek Farms, or rent a few kayaks from Lake Lure Adventure Company. The adventures don’t stop there, so be sure to check out our trip ideas and itineraries for more options. Following your KidSenses experience in Rutherfordton, don’t miss the Main Street Safari. It’s is one of our favorite activities for adults and kids to enjoy together. 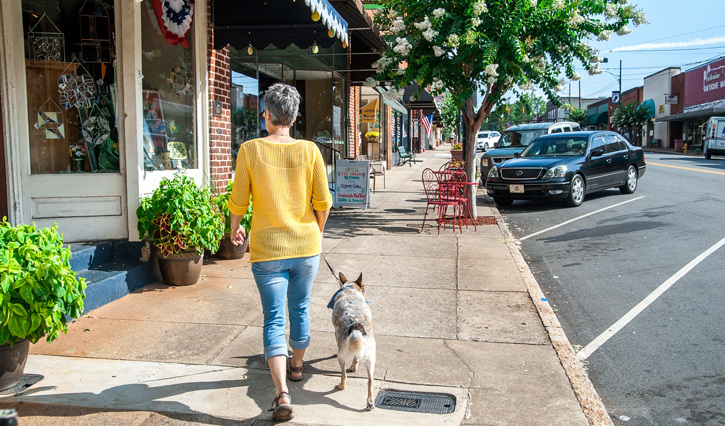 Part trail, part urban adventure, this mini pedestrian journey combines history with nature and presents it against the backdrop of Rutherfordton, North Carolina’s 2016 Small Town of the Year. The trail is jam-packed with activities that include games, tree climbing, gold hunting and wandering through a Civil War cemetery. Traveling without the kids? Check out the self-guided Historic Downtown Walking Tour that features the largest remaining cluster of antebellum homes in the Southeast foothills region. Rain or shine, spring break continues at Kidz Play in Forest City. With 8,000 square feet of giant, air-filled play structures, jumps, slides, obstacle courses and development games, kids will enjoy hours of recreational fun while parents relax at a table with great visibility of the entire facility. Before you leave make sure to visit the Ooh La La Kids Spa where kids are pampered like royalty. Surrounded by pink walls, pink robes, and pink accessories, spa services include manicures, pedicures, facials and even special hairdos. Kids will be talking about their super cool North Carolina spa experience long after spring break is over. Regardless of which activities pique your interest from our top ten spring break attractions, the best way to truly have the time of your life is to remember that spring break is a time to recharge and reconnect. From high-energy excitement to low-key relaxation, any one of our favorite destinations will provide memories to last a lifetime. Get started planning your trip. View our online Travel Guide.